A 50-year-old bottle of The Dalmore single malt whisky has set a new world record after fetching £28,000 (US$36,700) at auction. 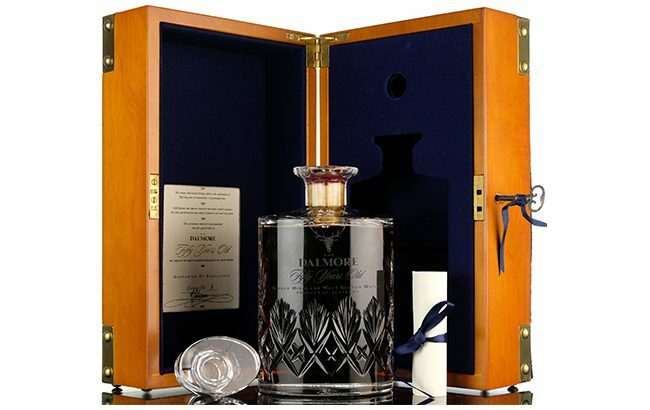 The Dalmore 50 Year Old was sold at a Whisky-Online auction in Blackpool, setting a new world record for the bottle. It was estimated to fetch between £18,000 and £22,000. Created by master blender Richard Paterson in 1978, the whisky is limited to 60 hand-numbered bottles and bottled at 52% abv. The expression is believed to contain liquid from 1926 and several older liquids including whiskies distilled in the 19th century. Available for around £6,000 in 2012, the value of Dalmore 50 Year Old has increased in recent months, with previous bottles selling for £14,300 in January 2017, £18,600 in March 2017 and then £22,100 in August 2017. In December last year, the expression sold for £26,250. Wayne Ormerod, founder of Whisky-Online Auctions, said: “There are very few single malt Scotch whiskies distilled in the 1920s that have been bottled at such an age combined with a high bottling strength. This is a whisky that for many years never really established the reputation it truly deserves.